Turtle Starter Kit aims to create a sound growth and activity environment for the turtles. The vivarium is equipped with an acrylic terrace for the turtles to climb,breathe and have a sunbath. 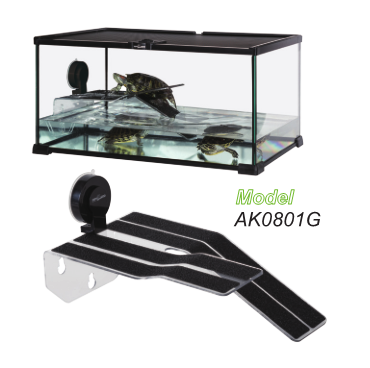 An anti-slip mat is attached to the acrylic terrace to better help the turtles to climb.The terrace is also adjustable, stable,secure and easy for installation.